Waco is home to Texas Fire and Safety, proudly serving all of Central Texas for more than a decade. We are the authorized dealer in Waco for several top recognized manufacturers of fire safety equipment and suppression systems. 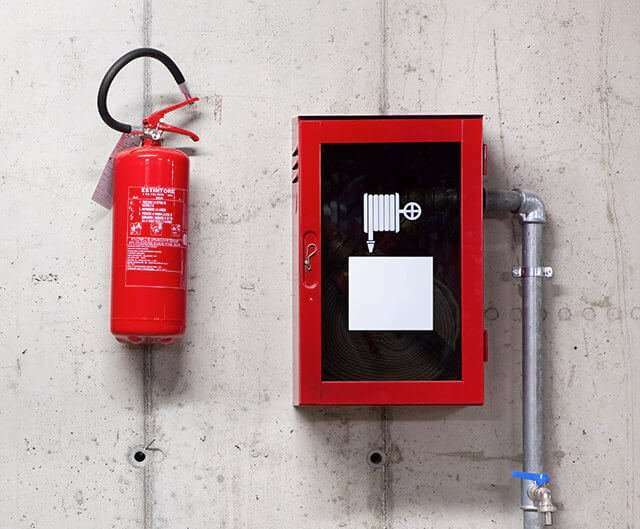 Existing fire safety equipment, fire extinguishers, emergency lighting, fire and exit signs, hood vents, sprinkler systems, clean agent systems, automatic fire suppression systems. Let our qualified professionals give you a free analysis of your home or business. Using high quality clean agent products and systems to keep Waco homes, restaurants, and businesses safe while using eco-friendly materials. Make sure you have the right equipment for your built environment. Know the classes of fire and how to extinguish each. Where there is common combustibles, you need Class A. Where there is flammable gas and liquid, you need Class B. Where there is electrical equipment, you need Class C.
Where there is cooking agents like oil or grease, you need Class K.
Safety Tip: A fire extinguisher that covers multiple classes like an A-B-C extinguisher can be used on most fires, with the clear exception of K and D (combustible metals). Always read the attached tags and materials before using any fire extinguisher. Texas Fire and Safety carries a wide variety of high-quality hand-held portable fire extinguishers manufactured by Ansul. Keep your peace of mind by owning top of the line fire extinguishers to protect your content, home, business, or buildings. 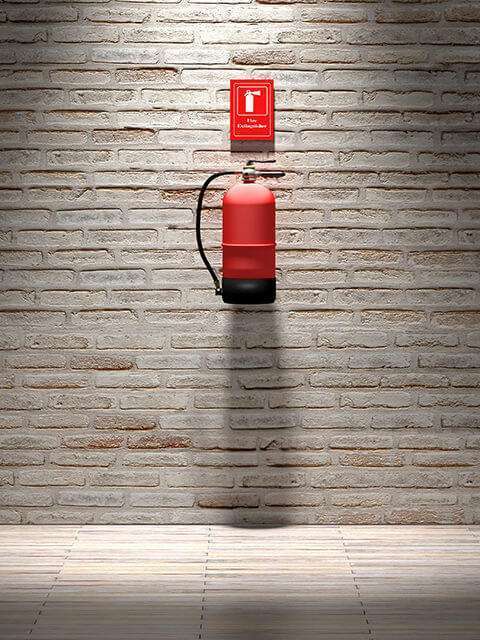 A quality fire extinguisher can mean the difference between minimal and major losses. Choose from stored pressure compact or high-flow canisters to dry chemical, CO2, and water extinguishers. Easy-to-read directions displayed on all canisters. 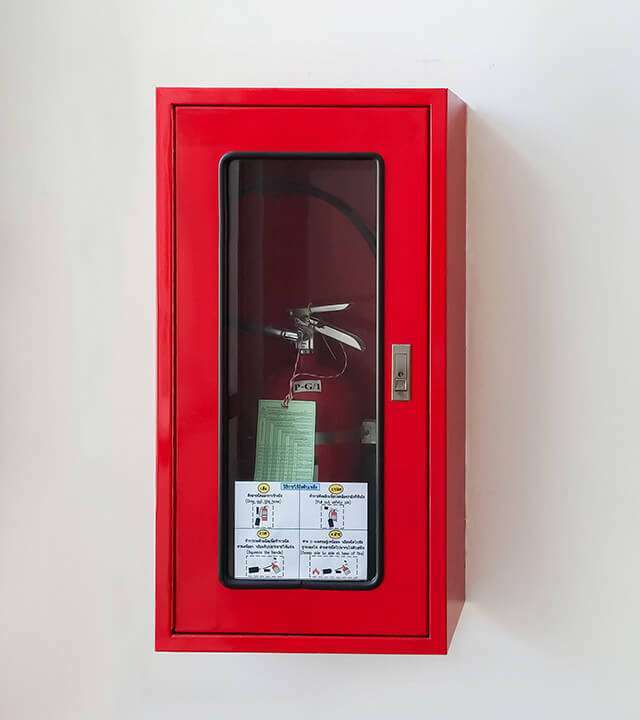 JL Industries’ line of cabinets can keep your fire extinguishers protected from unnecessary knocks and dings which could keep them in service longer. Texas Fire and Safety sells JL Industries’ wide variety of cabinets. Built-in flush wall cabinets with or without doors. Wall-mounted cabinets with or without doors. Designed to be discreet yet visible. Factory-trained technicians ready to perform. Consult with our fire engineers. Our friendly, courteous, respectful customer service representatives are available to discuss your concerns. Emergency service for Waco – 24 hours per day – guarantees help is near. Texas Fire and Safety replaces multiple vendors. Our inspection professionals have more than a decade of field experience ensuring you will receive the most accurate information about your fire protection systems. They will work with you to make sure your home or workspaces meet all local, state, and federal requirements. Fire extinguishers and suppression systems need regular maintenance and testing to assure they will work properly when a fire occurs. We can schedule one of our skilled technicians to test your systems at the increments you desire or are required by industry codes. We test more than fire extinguishers. Need an upgrade? We can do it all! Have you upgraded your facility or expanded? It might be time to increase the amount of fire extinguishers or upgrade the ones you own. Available in variable sizes and distinguished by the canister weight (5 lbs. and up). 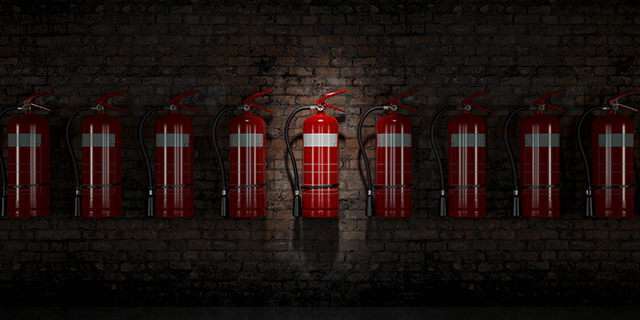 Fire extinguishers are important for home, auto, boat, office, or anywhere a fire can ignite. 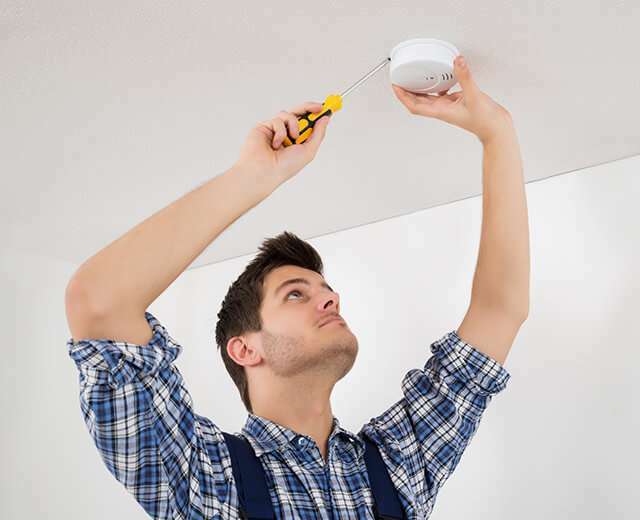 Texas Fire and Safety will make sure your improvements are protected. Safety Tip: It is good practice to match fire extinguisher size to the service area size. Also be sure to match the commercial fire extinguisher in each service area to the fire classification of the environment or materials within that area. Providing durable, high-quality fire extinguishers and safety equipment as well as many other services. Top-rated experienced technicians at your service 24/7/365. Ensuring your protection will meet all local, state, and federal fire and building code requirements. Waco’s best choice. Let Texas Fire and Safety serve you.